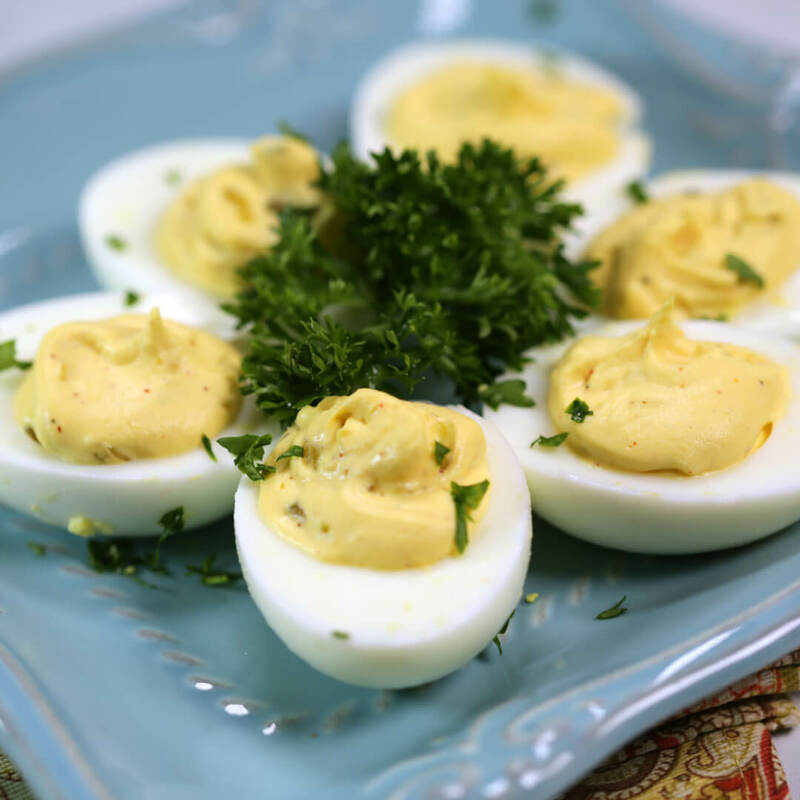 This southern-style deviled eggs recipe is very similar to the Paula Deen deviled egg recipe. 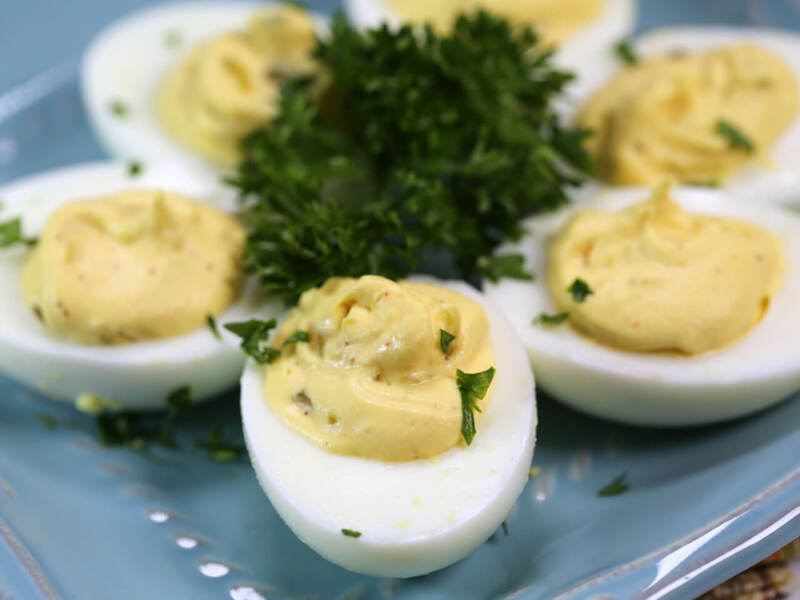 It’s a delicious twist on my classic deviled eggs recipe. This easy recipe has the perfect balance of sweetness, tanginess and creaminess. 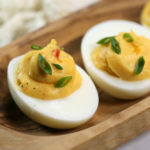 This easy deviled eggs recipe is a combination of egg yolks, mayonnaise, sour cream, sweet pickle relish, dijon mustard, cayenne and salt and pepper. The filling is the perfect combination of texture and flavor with just the slightest hint of heat to balance out the sweetness from the sweet pickle relish. 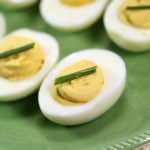 The flavor in these traditional southern deviled eggs is absolutely perfect! I’ve always said I should have been born in the South. I’m completely fascinated with all things southern – especially the food. Everything from biscuits with sausage gravy to fried green tomatoes has me drooling. 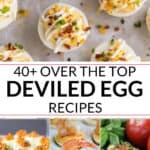 When I first set out on my quest to make the best deviled eggs recipe, I came across Paula Deen’s recipe. It sounded incredible – especially because I love the flavor of sweet pickles. Have you tried my homemade bread and butter pickle recipe yet? As soon as I saw her recipe, I knew I had to try it. Of course, I had to tweak things – it’s just the way I roll. I don’t think I’ve ever cooked anything without tweaking the recipe first. I amped up the flavor just a little and made the filling even creamier than the original. It was absolute perfection! 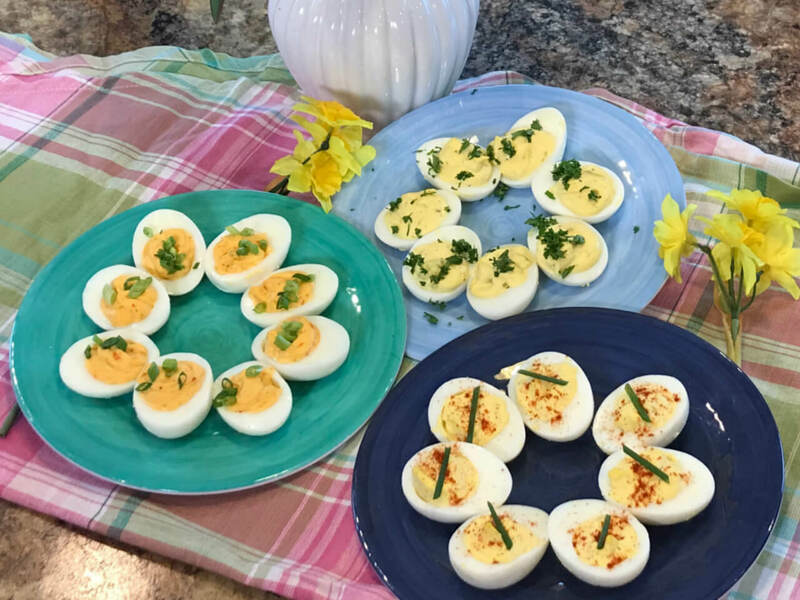 A while back, I made these traditional southern deviled eggs on WNEP’s Home & Backyard show. I also made a few other varieties that you have to try too! They were all absolutely incredible. For the show, I topped this easy deviled eggs recipe with chopped parsley. That’s not very southern. In retrospect, I would have added a thin slice of a sweet pickle to the top of each egg and then dusted them with a light sprinkling of sweet paprika. 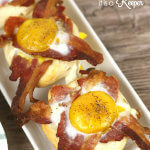 Another southern-type option would be to add a small piece of pimento to each egg. Or add the pickle AND the pimento! 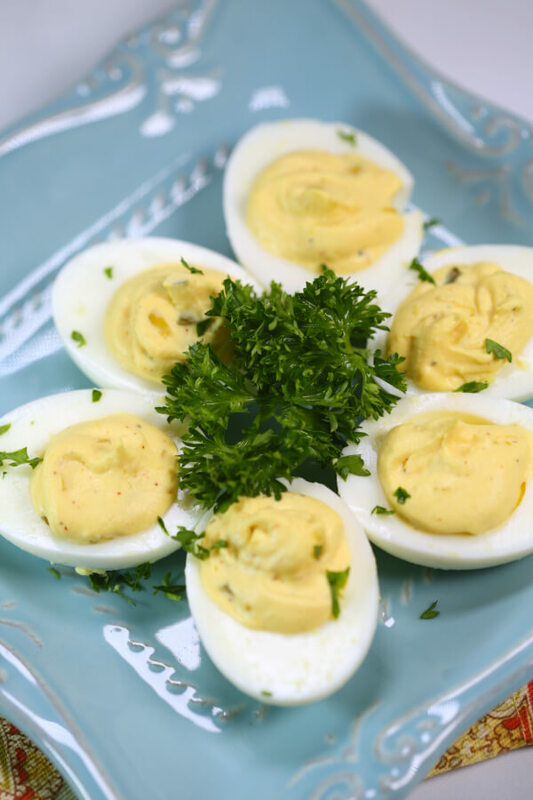 This southern-style deviled eggs recipe is very similar to the Paula Deen deviled egg recipe. 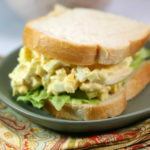 It's a delicious twist on my classic deviled eggs recipe. This easy recipe has the perfect balance of sweetness, tanginess and creaminess. Add mayonnaise, sour cream, dijon mustard, cayenne and House Seasoning Blend. Stir in sweet pickle relish.